Check out this footage that surfaced recently of Raz-B on the phone alleging that he, J-Boog and Lil' Fizz were coerced into sexual acts. Peep the video after the jump. I'm going to put it like this. 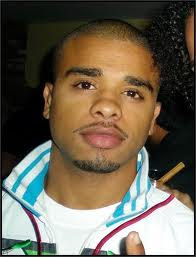 The more Raz-B gets on youtube, the less weight his words carry. If he wants the world to hear his story, he needs to holla at Harper Collins and get himself a book deal and a la Karrine Steffans, go on a nationwide book promo tour. His book would also open the door for the three other former members of B2K to get similiar deals to promote their sides of the story and make some serious paper. I mean if you are going to do something (Youtube / WSHH vids) why let it be for nothing?